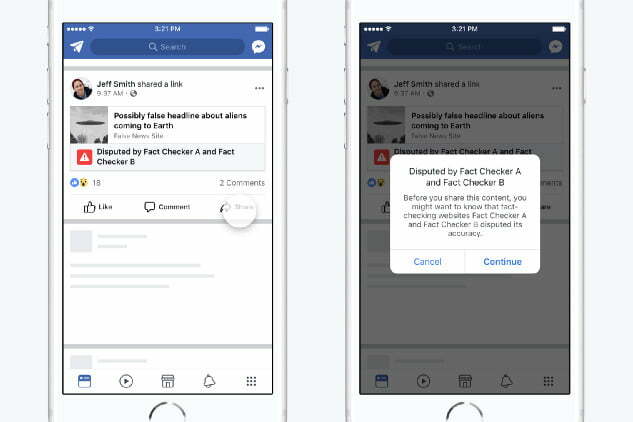 Facebook’s ongoing battle against fake news is moving forward as the company removes one tool and replaces it with another. On Wednesday, December 20, the company announced that the disputed flags will no longer be used to alert the user to potential Facebook fake news but that potential fakes will instead show related articles to offer more context. Facebook says that while the flag alerted users to fake news, the label didn’t help users determine which part of the article was false. Another problem is that the icon required at least two fact checkers to determine its accuracy before giving the piece that false label. In many cases, Facebook says, false articles were slipping through because there weren’t enough organizations in that particular area to check the facts. After testing Related Articles earlier this year, Facebook says that using relevant links with the original article led to fewer shares. Those additional links often include articles from the same fact-checking organizations that provided information for those disputed flags. The articles help readers see not only that the article isn’t correct, but what part of the data is off. Between the two different techniques, while shares dropped with related articles, clicks to the full article were the same as with the disputed flag icon. 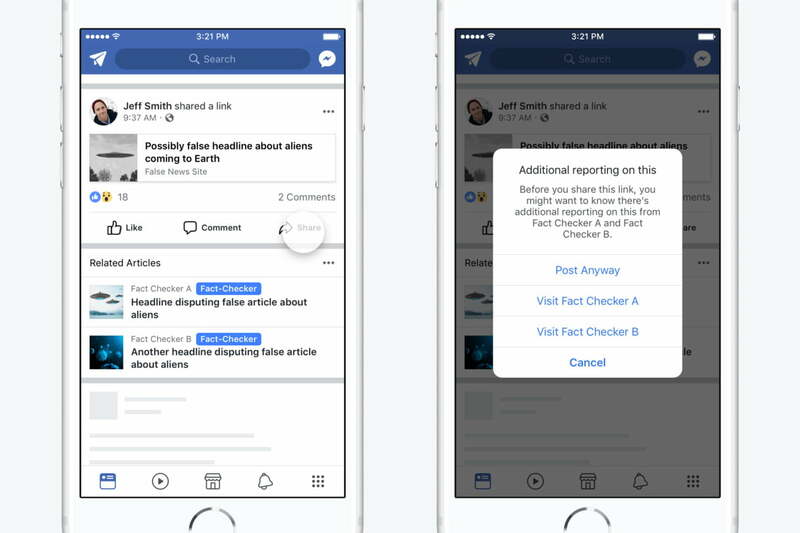 Facebook is also launching a new initiative that will further the company’s research on fake news and how to prevent its spread. The company says the expanded research won’t be obvious right away, but could help the platform improve over time. The social media platform has launched several tools over the last year designed to curb fake news, including that now obsolete disputed flag as well as an “i” icon to learn more about the source, new trust indicators, and eliminating the ability to edit a link preview.